Here we are, at the end of the year! As we prepare for the first session of our Reiki class this Sunday, January 5, I'd like to share links to the 'History of Reiki' posts I've done over the last couple of months. When Takata brought Reiki to the West in the late 30s, & began telling the story of Reiki to people outside of Japan, she 'edited' her tell for her Western audience. In recent years, as communication between Reiki practitioners in Japan has opened up, a more accurate picture has emerged. I've enjoyed revisiting the Reiki stories, & look forward to sharing more of them with you! You can also click on their names in the Labels, & find other places I've referred to each of them. Blessings of the New Year to each of you! I've adapted the tips a bit, with suggestions for integrating Reiki into these practices. 1. Move more. Regardless of your age, your brain and body expect and require movement for health. Movement exerts its effects on the brain through several mechanisms, including neurogenesis (the creation of new neurons), mood enhancement, and endorphin release. Do some form of exercise that significantly raises your heart rate for 30 minutes at least four times a week. Incorporate Qi/Chi building movement several times weekly as well - 3 Palms Rising is a simple beginning! Remember also to break up your sitting and move frequently during the day. 2. Get more sleep. Sleep is often the single most undervalued behavior in our lives, and one with immediate power to improve our experience in every waking moment. If you get six or fewer hours of sleep most nights, aim for one more hour of sleep on average — it will leave you feeling more physically energized, emotionally resilient, and mentally clear. You may find, as you integrate Reiki & perhaps Qigong into your daily routines, that you need less sleep. My qigong teacher generally sleeps about 5 hours a night! A Chinese Qigong teacher commented that his mentors also slept fewer hours at night, but took a nap if they felt like it! So pay attention to what YOUR body seems happiest with! 3. Eat less, more often. Food is fuel, and real food — lean proteins and vegetables/fruits (complex carbohydrates) — are high-octane fuel. You’re best off when you eat in small doses throughout the day, beginning with breakfast. Drink more pure water, green & herb teas. Remember to bless your food and drink with Reiki as you prepare and serve it. 4. Remove interference. Reiki and Massage can literally change your life, and enable you to a pain-free existence, full of energy and vitality. Reiki and massage help eliminate pain and inflammation, reduce fatigue, and restore normal nerve flow to all your organs — giving you the energy, drive, and peace of mind to go out and live life more fully. Daily self-Reiki & periodic Reiki exchanges/ Reiki circle attendance grant deep and long lasting change. between moving (spending energy) and resting or doing Qi building exercises (renewing energy). Ideally, take a break every 90 minutes, even if only to spend a minute or two stretching, doing Qigong, self-Reiki, or breathing deeply. It all adds up. 6. Be present. The greatest gift you can give someone is your undivided attention. After all, it’s better to be fully present with someone for an hour than physically present, but distracted, for multiple hours. Shut off your phone at a certain time each day, and practice being present with your family and friends. If you find yourself feeling scattered, do a few minutes of Self-Reiki. 7. Give thanks. We’re far quicker to notice what’s wrong in our lives than we are what’s right. To help change this mindset, once a week aim to write a note of appreciation to someone who deserves it, telling the person precisely what you’re grateful for. Take time at the end of the day to reflect on your gratitudes. 8. Do the most important thing first. Early in the morning, you’re likely to have the most energy, and the fewest distractions. This is a perfect time for a 10-40 minute Self-Reiki treatment. Begin your workday by focusing without interruption on the most important or difficult task you can accomplish that day. 9. Keep learning. Our brains work better if we challenge them, and life becomes more interesting when we do. Reading books is a simple and surefire way to learn and grow, but so is building a daily practice around learning a new language, a sport, an instrument, or around how to fix a car, or draw. As you're learning, utilize Reiki's gift for simplifying the learning process, & integrating new information. 10. Give back. Lending a helping hand not only aids others in need, it’s also very rewarding. Throughout the year, aim to take some time to add value to the world at large by supporting charities, standing up for great causes, or giving back to your community. Volunteering to do Reiki for events & groups is a wonderful way to share your gifts. 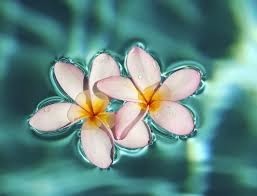 Just for today, Reiki for the self first, then for friends, family & community! This beautiful December day, with sun shining bright, I wish to honor teacher Hawayo Takata, who was born on Dec 24! "It all began as dawn was just breaking over the Garden Isle of Kauai. The day would be Christmas Eve, 1900. In the home of a young Japanese couple, a mid-wife was helping the young mother deliver her third child. Many young people had come from Japan to this island of flowers to work in the flourishing cane industry, and this family was living in the village of Hanamaulu, near Lihue. ... 'Give her a bath and wrap her in a new blanket. Then face her to the sun, put your hand on her head and say three times, 'I NAME YOU HAWAYO,' and then say 'Success, success, success.'" Fran Brown, Living Reiki, Hawayo Takata's teachings. Throughout her life, from the age of 37 to her death at 80, Hawayo Takata generously shared the gift of Reiki with the West & much of the world. Her legacy lives on in the thousands upon thousands of Reiki practitioners and teachers who continue to share Reiki with their friends, families and clients! 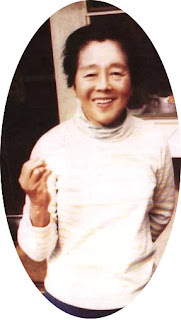 Just for today, let us honor Hawayo Takata, & thank her for the gift of Reiki! She asked Mr Hayashi, but he was reluctant to teach a Western person Reiki, feeling that Japan had already 'lost' enough of its teachings to the US. “It is a closely guarded treasure. It is for Japanese people only.” She WAS an American woman! When she wanted to see something, she stopped and looked. When she wanted to know something, she asked. She respected his answer, and said no more; but she wasn't about to give up! Finally, Dr Maeda decided to support her effort, & took out traditional writing implements, a brush, a sumi stick & the Ink stone. He used a scroll 'about two and ½ yards long.' ground ink, & wrote a letter, recommending Mrs Takata as a student in Hayashi's Reiki School. Because the doctor wrote the letter himself, & pleaded Mrs Takata's case, that because of her health, because of her family, she needed the tools to help herself & her family. He granted her request. Each morning, from 7-noon, the interns gave treatments to those who came to the clinic. They worked in pairs, sixteen practitioners, treating eight clients. They had an hour for lunch, then made home visits, individually, treating each client for 60-90 minutes. Sometimes she was given just a scrap of paper with the address. The streets were not simple to navigate, nor the addresses simple to find – yet with the help of Reiki, she always arrived on time, & offered the treatment. So in 1936, she paid $500- US for the next training, and then returned to Kauai. At first, she had no intentions of practicing Reiki professionally, but just to help her family & retain her own health. But as she treated family & friends, word spread, & more & more people sought healing. In October of 1936, she opened her office in Kapaa. November of that year, Hayashi Sensei & his daughter came to Hawaii, first to Kauai, then to Honolulu to offer demonstrations & lectures about Reiki, at no charge. He also offered private consultations. Over the next 35 years, Hawayo Takata offered healings, traveled back & forth between the US and Hawaii, & taught many people the 2 levels of Reiki she called First & Second Degree (In Japan, the 6th level was the lowest level, with level 1 being the top or Mastery). 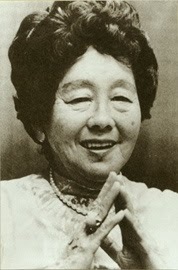 In the early 70s, she began initiating Masters, including her Granddaugher Phyllis Furomoto, in 1979. She initiated 22 Masters before she made her transition at almost 80 years old, in Seattle Washington, December 12, 1980. In the Flower Essence Repertory, Patricia Kaminsky & Richard Katz write: In selecting appropriate essences, one can start with the positive goal, and then uncover the emotional or mental pattern which blocks the purpose. Likewise, one ith the client's pattern of imbalance or suffering, and then determine the positive quality which needs to be developed." This applies when choosing an individual essence, or formulating a bouquet. Ajuga: In the early 90s, my friend Kimberly made this essence, & gave this description: "Release fears around giving healing touch; energy for healing." Calendula: Ground & nourish all levels: physical, mental, emotional, spiritual. I AM one with Sister Earth. Pikake (Jasmine): I AM centered in the sacred fire. Plumaria: Connect with traditions, brings awareness of family roots. Restores spiritual integrity. Red Shamrock: Donna Cunningham made this one: "New Spark Plugs." St Joan's Wort: Shield of light, illuminated consciousness. I AM the light of God. Molly Sheehan of Green Hope Farm Essences: "Each kind of flower essence is a high frequency electrical solution imprinted with the Divine Wisdom and energetic vibrational pattern of a particular flower. ... When our electrical systems are challanged by the learning lessons of our daily life, they can sometimes overload, short circuit or shut down. ... Flower essences offer our systems an alternative way to vibrate." Mrs Takata often told her students 'Hands on, Reiki on!' emphasising the simplicity of engaging the Reiki energy. I liken it to charging a battery, if a battery is low, when you attach it to a charger, it 'draws' the energy it needs through the cord or jumper cables. When you take it off the charger, it no longer draws energy. Mrs Takata also suggested eating simple food, full of vitality, in the hospital, she likely received simple Japanese fare - rice, steamed vegetables, Miso soup, fresh water & green tea. When preparing to receive Initiation into Reiki, students are encouraged to simplify, to eat consciously, healthy fresh food where possible. To drink a bit more water (which helps our human batteries retain their charge) & perhaps green or herbal teas. If you commonly drink coffee, perhaps cut back a bit, & refrain from alcohol. I will offer Reiki 1 January 5 & 19 (2 sessions) 2014. Contact me if you're interested in attending! I love finding *new* (to me!) 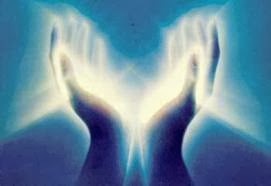 information & sites about Reiki. & revisiting *old* favorites. My dear friend Margo Vance-Borland is a healer & Reiki Master in Corvallis, Oregon. Margo also studied Reiki with Takata in 1973, and became a Reiki Master in 1994. She offers sessions & classes in Corvallis & at her beautiful Seichim Center, West of the town. John Harvey Grey was the third of 22 Reiki Masters initiated by Hawayo Takata (in 1976), & taught well into his 90s! The John Harvey Grey Center For Reiki Healing has some lovely articles, a Facebook page, & online newsletter. Though John passed in 2011, the Center he founded still offers training on the East Coast. Several months ago my friends met Portland Reiki Master Michelle Garnier Winkler at the Body/ Mind/ Spirit Expo, & were impressed with her warmth & joy. She offers sessions & classes at her center in Portland, Oregon. I studied Reiki in 1989, & became a Reiki Master in the spring of 1991. I've taught Reiki since that time, & love 'opening the Reiki door' for people of all ages! My site, Ladyharper, offers information on my sessions, classes, flower essences, & music. Sheila King was my small group leader at the NW Reiki Gathering in 1992, & I have been blessed to call her friend for over 20 years. 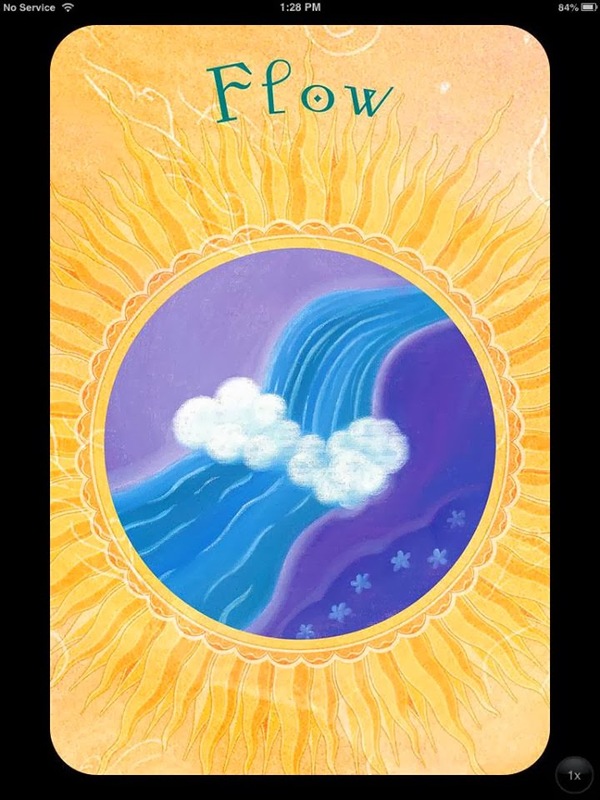 Her work spans Reiki, Aura Soma, Lightweaving, the Reconnection. A gifted healer & teacher, Sheila is a treasure! I studied Lightweaving with her last summer, & love 'weaving' a bit at the end of a session! For the last 10 or so years, JoAnn Albright has been my Qigong Mentor & Teacher. JoAnn teaches several styles, having studied for years herself. My most recent work was learning 5 Element Standing Stake, & being certified to teach this form. Qigong is another way to tap/attune to the healing universal energy, & a beautiful complement to Reiki. Just for today - honor your parents, teachers, elders & way-showers. When the sudent - or teacher, is ready, things happen! For several years I taught Reiki intensively - small classes & workshop offerings at Breitenbush Hot Springs, a 'sabatical' (from massage) year at the coast with weekly Reiki circles, then classes here in McMinnville, including initiating my daughter & daughter-in law .... then those girls began having babies, & my GRANDMAMA years began! That coincided with my move to a co-op office with several treatment rooms, but no large classroom space. 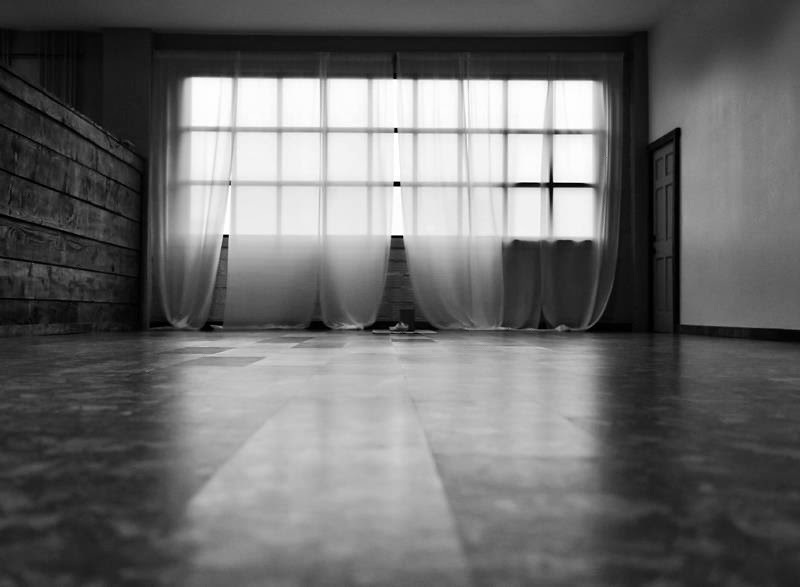 I adapted by teaching a few classes elsewhere, & offering individual training in my own Therapy room. 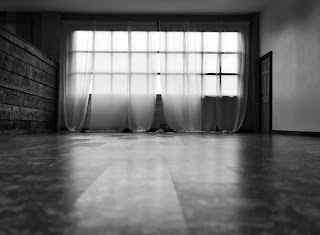 Recently, a friend expressed interest in a class, & I approached a couple of friends about using their spaces for classes. So in January, I'll begin offering classes again on a regular basis! I'm excited. You'll be attuned to Reiki - a lifelong tool! Lifetime support for your Reiki questions no expiration date (e-mail and phone, in person)! What does one learn in First Degree Reiki? Scan the person receiving treatment, 'Byosen,' and begin perceive areas of reduced vitality flow. Reiki I is scheduled for Sundays January 5 & January 19; 1-5 PM, in McMinnville, Oregon. Contact me: ladyharp1@ gmail.com for more information! 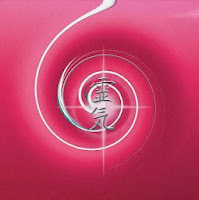 Are YOU Ready for Reiki? ?